Man’s Best are a proud member of the official Australian made program. All Man’s Best premium dog recipes are proudly made in Australia by a 100% Australian made company, Hamilton Pet Care Pty Ltd.
Australian manufacturers, farmers, fishermen and processors make some of the best products in the world, and by buying Australian Made goods, you're not only supporting local jobs and our economy, but also getting great products and produce. Australian products and produce have been manufactured or grown locally to meet high Australian standards. You can have confidence in the quality and know that whatever you are buying hasn't travelled around the world before it reaches your home. It's good for your family and friends! There is a direct correlation between consumer purchasing behaviour and employment, local economic development and prosperity. When you buy Australian made and grown products, you can be sure you are keeping your family members and friends employed. It comes down to all of us as consumers – the people and businesses that buy things every day – to consciously purchase Australian-made and grown products. 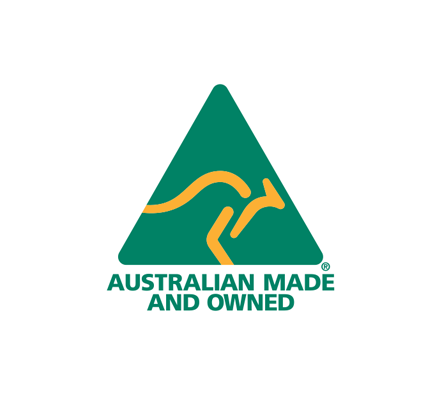 The best way to find Australian goods is by looking for the Australian Made, Australian Made & Owned or Australian Grown logo – the green triangle with a golden kangaroo. The logo shows you that the product is made or grown here. The famous logo is used by more than 2500 companies on more than 15,000 products sold here and around the world. Man’s Best are a proud member of the official Australian made program. All Man’s Best premium dog recipes are proudly made in Australia by a 100% Australian owned company, Hamilton Pet Care Pty Ltd.